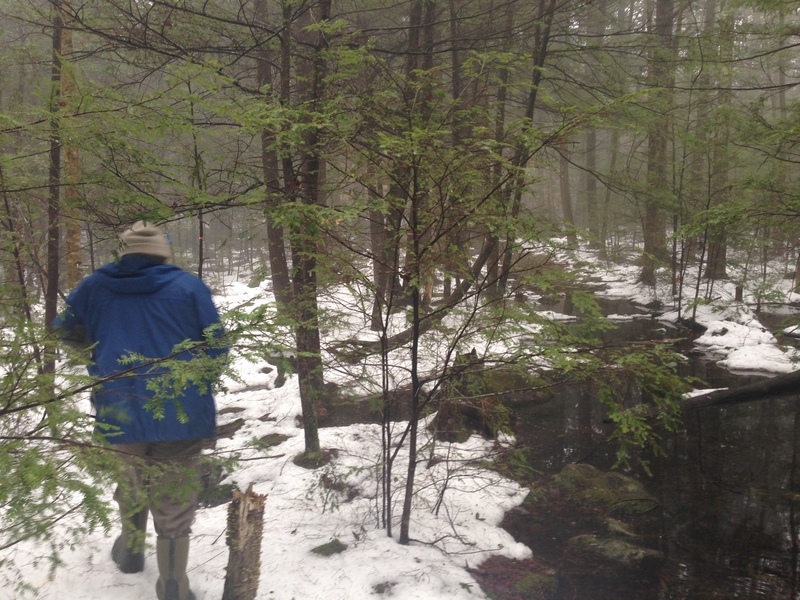 Fog slinks low over the snow as John O’Keefe heads out into the forest, beginning his 29th year of survey walks of his phenology trail at the Harvard Forest. The temperature’s in the 50s, creating a conversation between the air and the still snow-patched ground spoken in a whisper of fog. 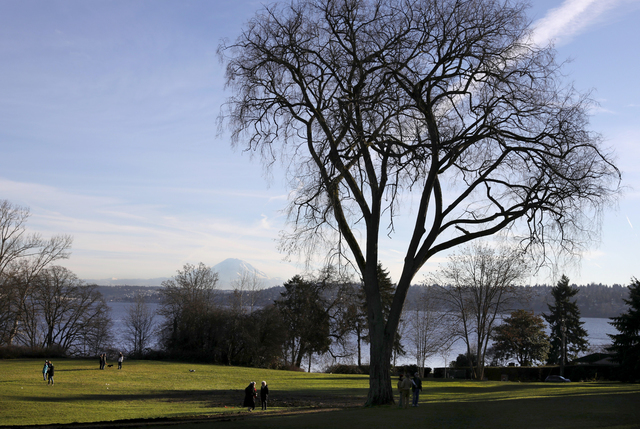 The purpose of this walk is to set a baseline as John looks for earliest signs of spring. 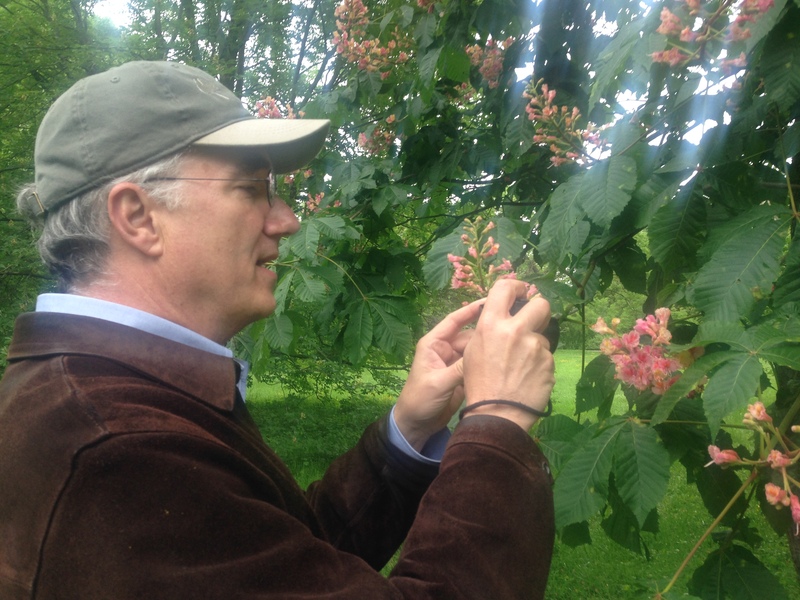 From now till the leaves are once again fully out on the trees, he’ll check these same 50 trees and shrubs he has closely watched for nearly three decades, recording the seasonal rhythms of nature. His work, meticulously recorded with No. 2.5 pencil on data sheets, has built a nearly 30-year record of consistent observation of the seasonal changes in this forest, used by scientists around the world to detect the impact of climate change on the land. We’re sliding around on the snow as we head out on the trail. The brook under the bridge we first come to is running hard. In the pasture just before we head into the wood, cows stand at the fence, with one intrepid member of the herd stretching her head through the slats of the fence to snag hay from the bales stacked for their meals. Good girl. 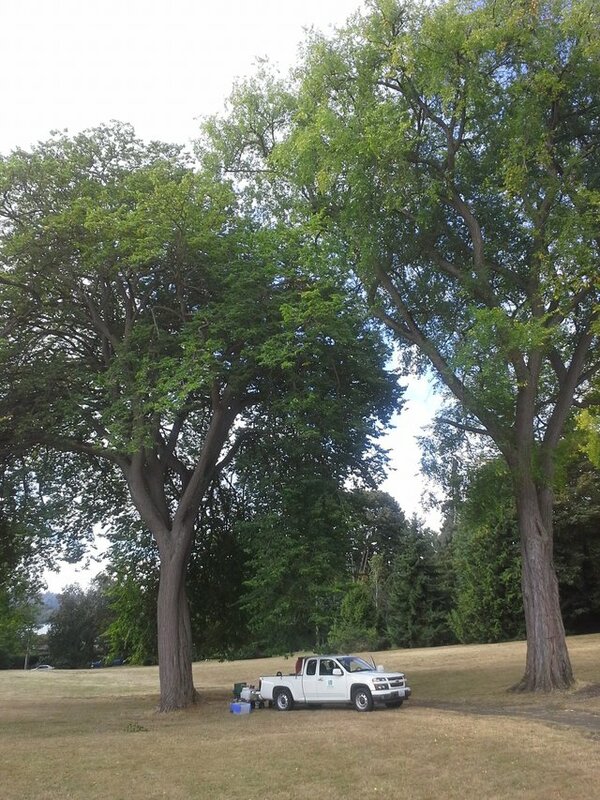 John finds one of the first trees in his survey, an ash, rising straight into the grey sky. It’s not yet budged from winter into spring, its buds tight clenched. I feel my foot roll and look down: there is a paving of acorns everywhere. 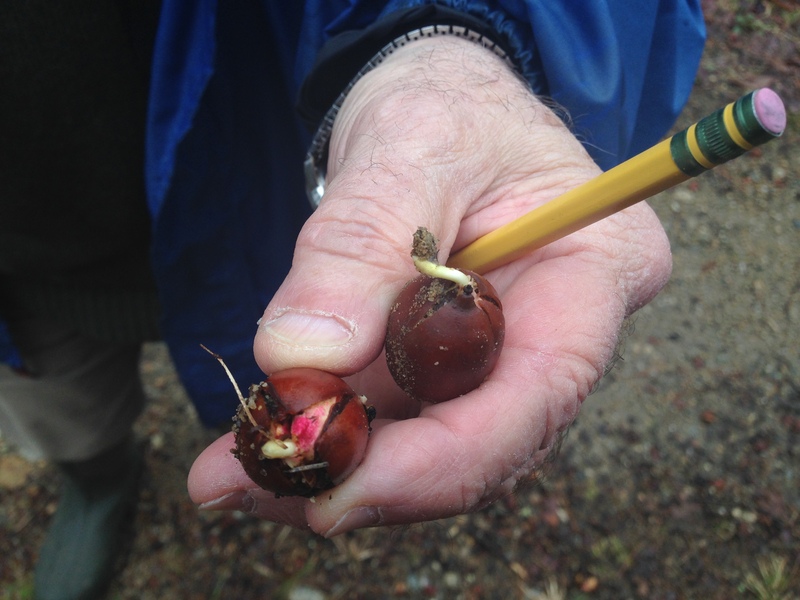 Wintered over, they are swelling with spring rain, splitting their shells, and showing the pink delectable nutritious nut within. A root reaches from the split shell, hungry for soil. John holds some of the acorns rolling around under our feet. The shells split, the roots reaching for soil, these acorns are just so eager to become oaks. These mast years come about every five years, and are a fiesta in the forest, providing a surfeit of acorns that stuffs more than 100 species of wildlife. It’s nature’s way of making sure enough acorns survive to sprout. Overwhelming the locals every now and then with more than they can possibly eat has created this surprising ball-bearing ride as we walk along. I can’t believe the bounty. The woods, which seem grey and still dormant when quickly glanced at through a window indoors, on closer inspection out here are wonderfully alive. Last night’s warm wind brought a Big Night — the first movement of amphibians to their breeding ponds. And even as we walk, John steps carefully out of the way of a red eft, a juvenile salamander somberly making its way across the forest duff. 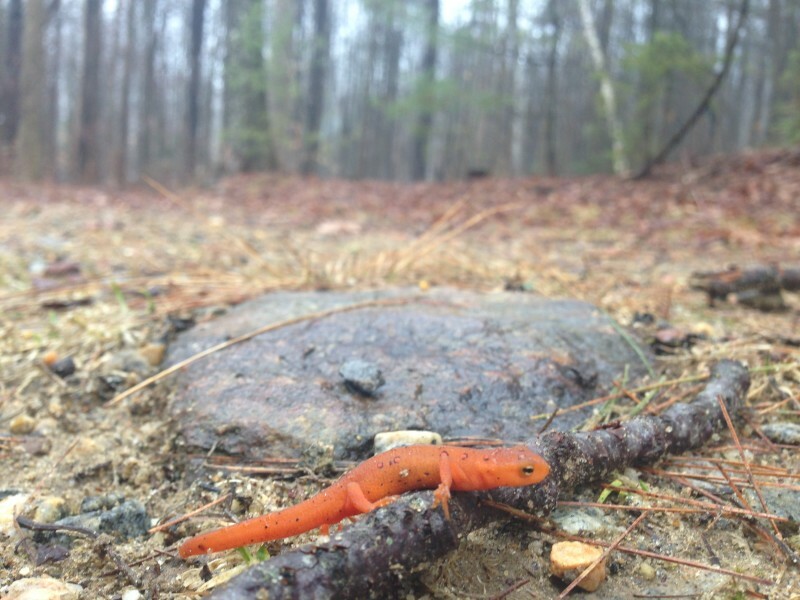 A red eft stoically makes its way across the forest floor, undaunted by obstacles.The warm spring rain brings them out in their first forays of the year. John’s walks show a long term trend toward earlier springs, and later falls, with a growing season stretching longer and longer. The seeds of a black birch pepper the ground, along with a scatter of pine needles, still fresh and green, the wind must have brought down in the night. 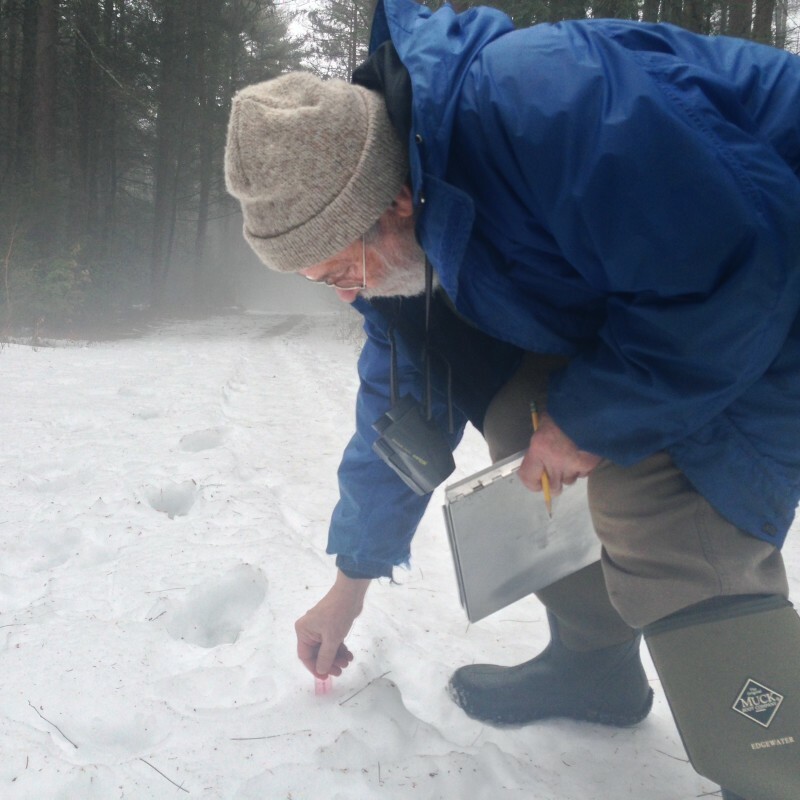 John bends with his ruler to record the depth of the snow in a patch that always is among the last on the trail to melt out, and records 14 centimeters. Open to the sky, it’s a stretch of the trail that gets the most snow, and, in the shade of a stand of conifers, gets little sun. The first survey walk of the year always includes some snow. This year is no different, as John pokes a pocket ruler through the fog ghosting over the snow to note its depth. 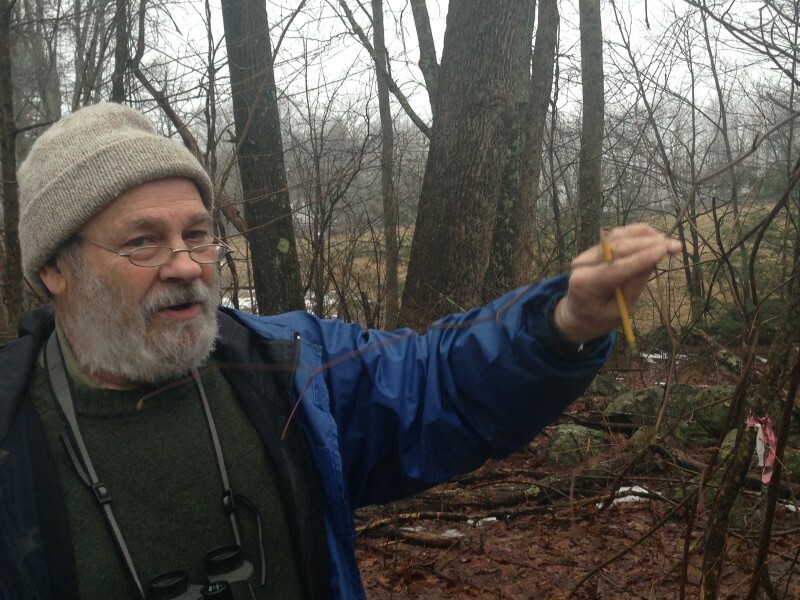 He records all aspects of the seasons, from bird calls to the state of the trees’ seasonal development, the animals we see, the condition of the understory and canopy, using binoculars not to miss a detail. His handwritten logs are an intimate record of the heartbeat of the forest, season by season. We come to a pond deep in the hemlock woods and it’s still quiet: no wood frogs, among the earliest to sing, are yet calling for mates. But the first ribbon of open water shows black along the white lid of snow stacked on the icy pond. With that first open water, it won’t be long now. John pushes his thumb against the end of a long beech bud: it’s still sharp to the touch. No plushness has yet come to the bud case, the leaves are still embryonic within. The leaves of last year, the color of just-right toast, still tremble in the wind. Beech is the last of the trees to lose its leaves, pushed off with the year’s new growth. A soft spring rain begins to fall, and John hunches over his paper, struggling to keep it dry as we walk. Blue jays fuss and a robin announces the season. We pass behind the barn and head to the trees under the scrutiny of cameras high on a tower, watching for their seasonal changes. 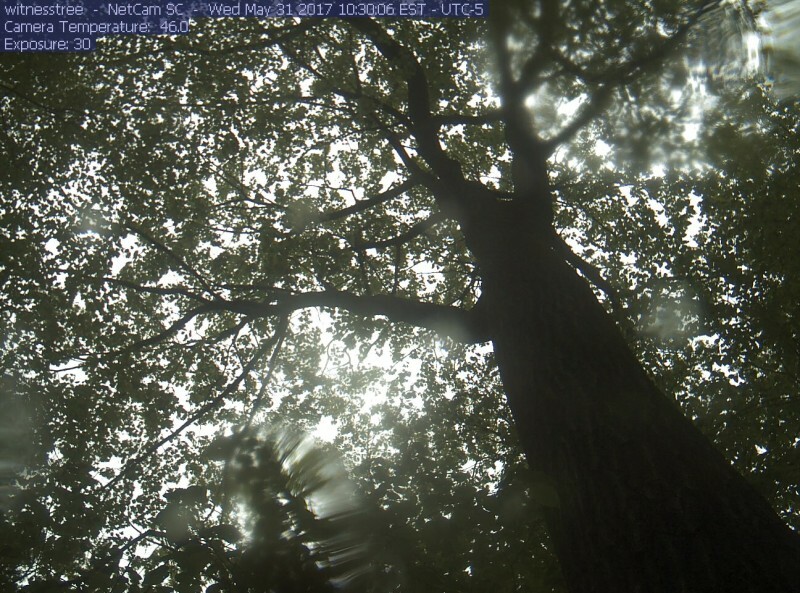 Part of a network of 400 cameras in a network around North America, they create a virtual observatory by which to document seasonal change. 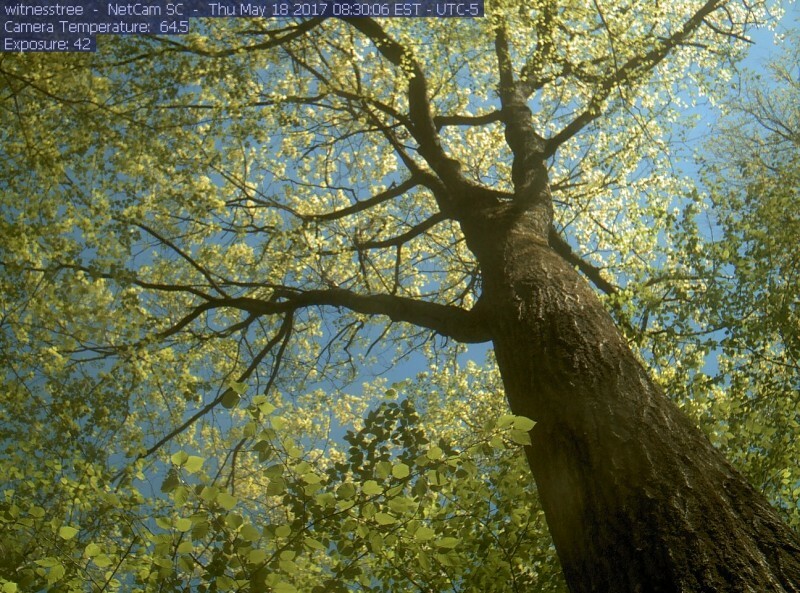 Together with the records of human observers, including John, the cameras are opening discoveries about the relationship between climate change and the physiology of the forest as seasons re-wind the timing of spring and fall. Andrew Richardson, formerly of Harvard University and now at Northern Arizona University at Flagstaff, recently published a paper that describes the network, the result of a 10 year collaboration with colleagues at Boston University and the University of New Hampshire. Already recording millions of images, the cameras create a continental observatory without precedent. 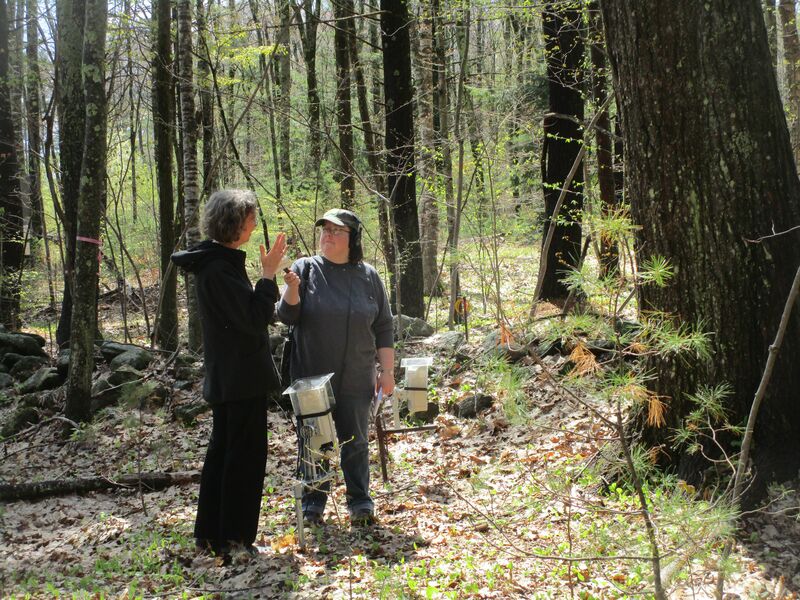 The data gives scientists plenty to chew on, assessing the effects of climate change on everything from temperate deciduous forest, such at this one at Petersham, MA, to tropical grasslands in Hawaii, coastal wetlands, arid scrublands, and evergreen Boreal forests. In addition to being scientifically useful, many of the photos are just plain beautiful. Go ahead, have a bird’s eye tour of the continent on the Richardson Lab’s web page. In a blog post about the network, Andrew says he and his collaborators stumbled on the idea for the network by accident. Good thing. The paper Andrew just published with a team of collaborators who’ve worked on the network for years provides open access to the data. It will be fascinating to see what emerges from it all. And with each step, each notation of his pencil, John keeps compiling the ground truth behind the cameras, as here at the Harvard Forest the trees get ready to take their first vernal breaths. Eternal, reassuring, the cycle of the seasons is underway. Different, changing, yes, as I describe in my book about John and Andrew’s work and so much more at the Harvard Forest, Witness Tree. But how lovely to watch the forest stir back to life in this earliest spring walk, with the buds just beginning to blush on the red maples. John scoots around a path swollen with snowmelt and the rising water of a woodland spring. Mud season will be next. 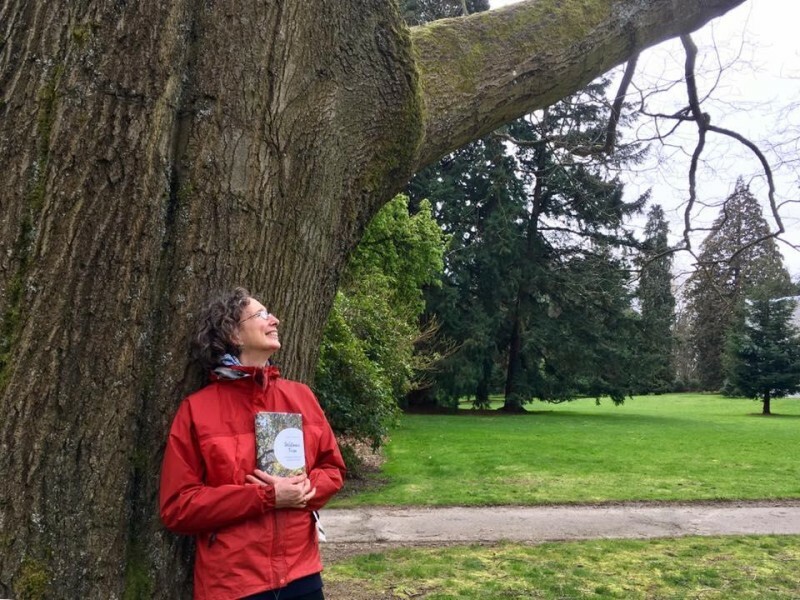 Thanks to Diane Horn of KEXP in Seattle for this podcast on Witness Tree. Thoughtful, insightful, in-depth coverage of the book. 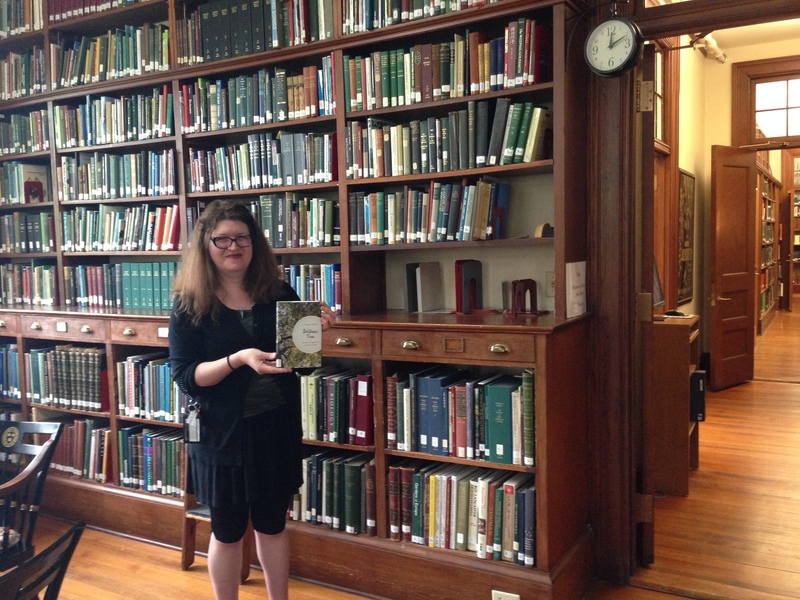 Thanks to Carrie Healy of New England Public Radio who put up this great story today on New England Public Radio. 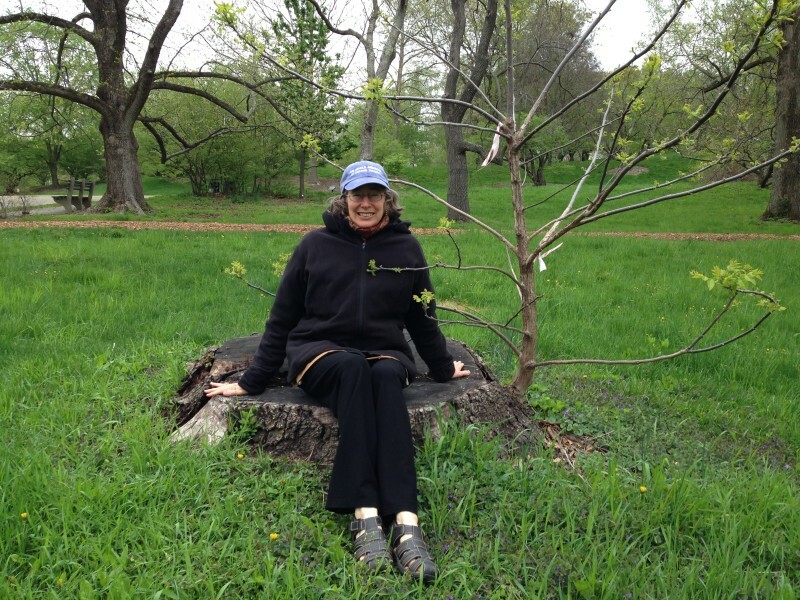 She made the trip out to the Harvard Forest to interview me under the big oak and talk about the Witness Tree project. I love the sounds of us walking up to the tree and the spring birds calling as we talked! 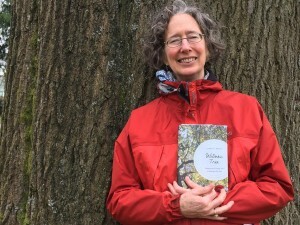 Full of laughter and joy, she was a reporter who clearly got the unique setting of the Harvard Forest and the message of the book. What a pleasure to spend that time together. 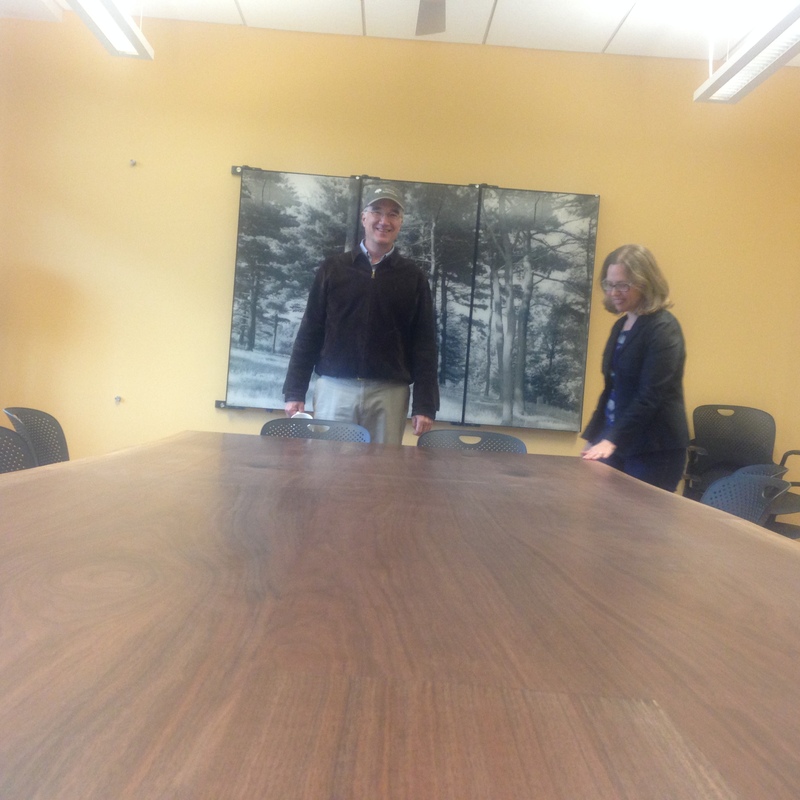 Visiting the horticultural library at the Arnold Arboretum at Harvard University to prepare for my book launch tonight at 6 pm, who do I meet, but Larissa Glasser, library assistant and Lisa Pearson, head of the library and archives, on the very moments that they are taking Witness Tree into their collection at the library. 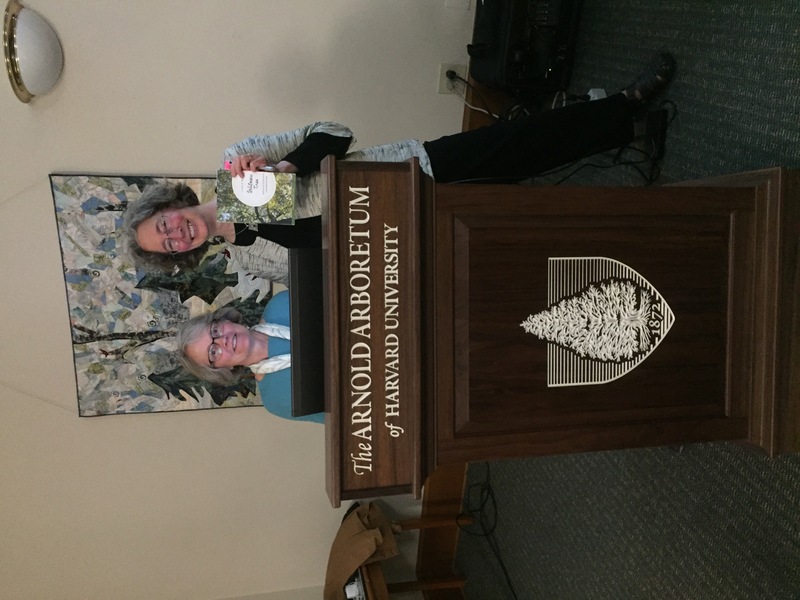 Larissa Glasser, library assistant at the horticultural library of the Arnold Arboretum at Harvard University about to tuck Witness Tree into the permanent collection. Now, for authors, really truly it doesn’t get much better than that, especially this author. My career as a writer was launched as a reader, tagging along with my mother to the public library in Chappaqua, New York, where she would gather stacks of reading, and I would race down to the children’s section to do the same. Out we would come to her station wagon, loaded down with books ready for a nice long read. I had my own library card from earliest age and could check out as many books as I wanted. Every birthday meant a new hard cover book. And libraries have been my haven since those early childhood days. Fast forward to publication of Witness Tree on April 11, launched at the Seattle Public Library and hosted by the Seattle Public Library Foundation among other partners. 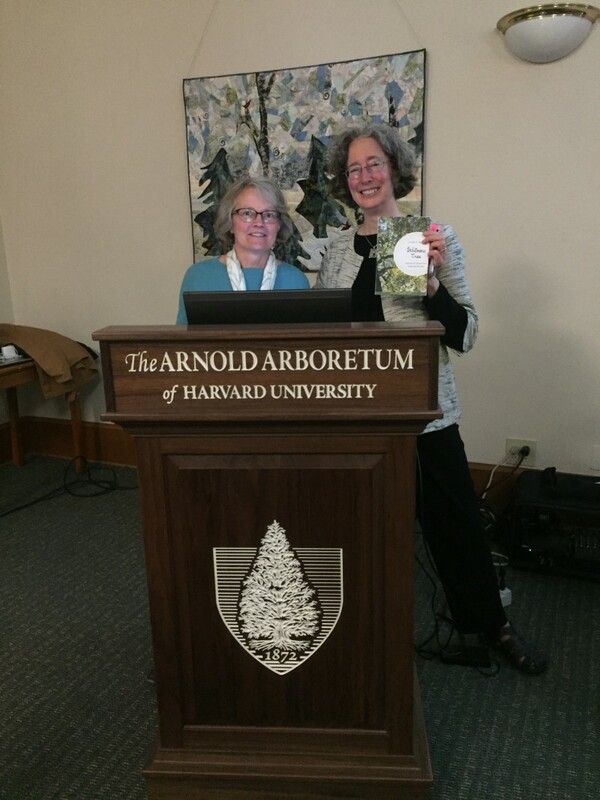 What an honor to be feted that night in that beautiful public gathering place for learning and discovery. 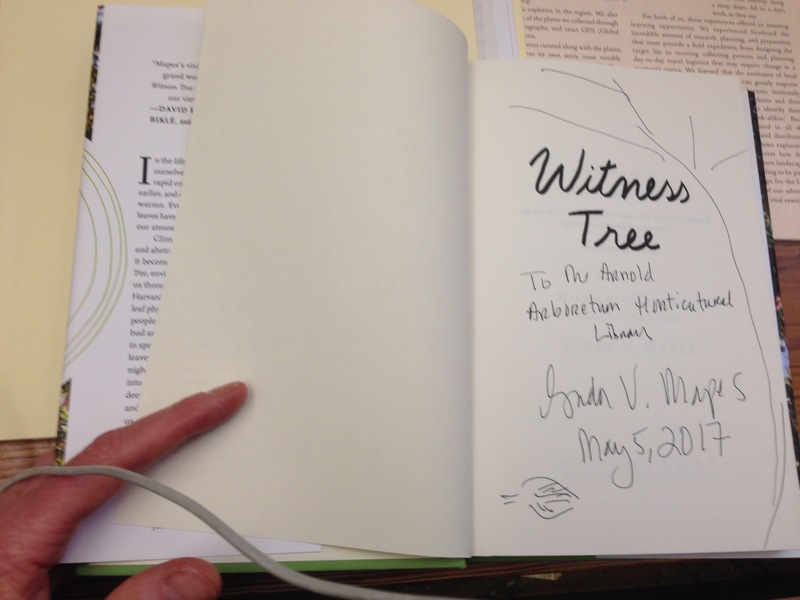 What an honor to sign Witness Tree to the horticultural library at the Arnold Arboretum of Harvard University. 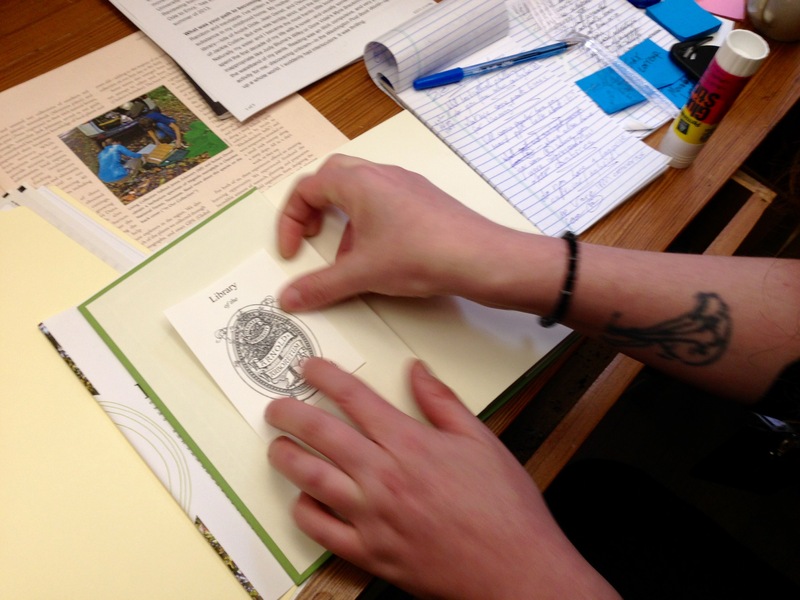 Such beautiful book plates at the Arnold Arboretum’s horticultural library! Dressing up Witness Tree. And now, to watch Witness Tree get its barcode, label, and bookplate, to sign it with a flourish and see Larissa climb the book ladder to tuck it on the natural history shelf…right next to Aldo Leopold’s Sand County Almanac and Berndt Heinrich’s The Trees in My Forest — two books that inspired me in writing Witness Tree, how very wonderful indeed. 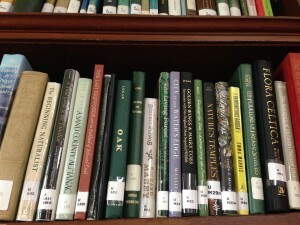 Particularly in this library. It’s open to the pubic, and even smells just as a library should: like old wood and books. Windows and views to the arboretum beyond make for a luscious setting, and the grand library table, so big it was built in place, and dating to 1892 make work here a special pleasure. I don’t have a window in the cubical I inhabit in our mouse-infested mayhem of the newsroom at the Seattle Times, where I am the environmental reporter. It will be nice, when back at work to think of Witness Tree on these beautiful shelves, in this gracious room, with its vast library table and the swell little wooden ladder for climbing the floor-to- ceiling shelves. The soft light from the bubbly old glass windows, the grandeur of this salon of books. Ah yes. How wonderful indeed. But better yet, I like to think of Witness Tree checked out, busy in the world, with readers flocking to libraries, for wonder and discovery.